The site of North Huntingdon Township’s first funeral home is deeply rooted in history and has undergone many changes since first settled in the early 1700s. 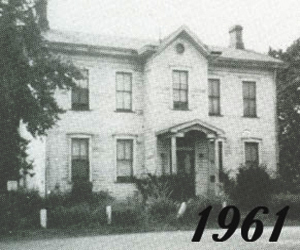 The property which now holds the James W. Shirley Funeral Home was first owned by William Marshall in the mid-eighteenth-century and was referred to as Marshall’s Long Meadows. William Marshall and his entire family were massacred by Indians in 1780, and now lie in a burial plot which is in nearby Long Run Cemetery, land also originally owned by Marshall. 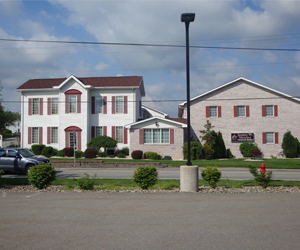 Starting in the 1700s with the patent of William Marshall, the property which houses the James W. Shirley Funeral Home Inc. would also carry the names of Alexander Barr, Robert and William Stewart, the Saam Family, Aaron Jeffries, William Nicholls, Michael Gisel, John A. Whitehead, James McFarland, John George, Jr. Robert S. Daily, Winifred Daily, Sarah Daily, and Vernon and Alice Gahagan. This land would go on to hold its first and only business with the founding of the James W. Shirley Funeral Home in 1964. 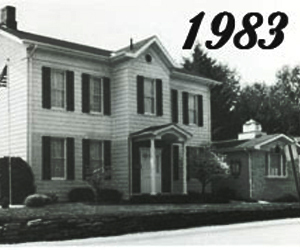 The founder and original owner of the Shirley Funeral Home was James W. Shirley Sr. born in Harrison City. He was the youngest of six children. Even though he became orphaned after he lost his father at the age of one and mother at the age of eight, he was able to remain successful in school and graduated from Penn Township High School, joined the US Army and then attended the Pittsburgh Institute of Mortuary Science. Upon graduation from mortuary school in 1958, and following his marriage to Jennie Zacur of Latrobe, he served an apprenticeship in Pittsburgh and continued working there for several years. In September of 1964, after a long journey to find funding, obtain property rights, and business mortuary licensing, the James W. Shirley Funeral Home opened its doors. After many years of working in the funeral business and serving the community, Mr. Shirley retired, and his son, James Shirley Jr. along with his daughter-in-law, Pamela Schwirian-Shirley purchased the funeral home from him in 2001. After graduating from Norwin High School in 1985, Jim Shirley Jr. served in the US Navy for six years onboard the USS Theodore Roosevelt until 1991. He then attended the Pittsburgh Institute of Mortuary Science while working at the funeral home. After years of working alongside his father he then purchased the business so Mr. Shirley could retire. He and his wife have been successfully operating it ever since, along with the other experienced and professional funeral directors, Jim’s sister Pamela Shirley-Kukich and nephew Ryan T. Bushik. Jim and Pam’s son Jon, who is currenty serving in the U.S Marine Corps, also assists during funerals and with the grounds-keeping and maintenance of the funeral home property. Throughout the long and successful history of the James W. Shirley Funeral Home Inc., our family has always strived to provide compassionate care and attention to detail at a time of difficulty and sorrow.